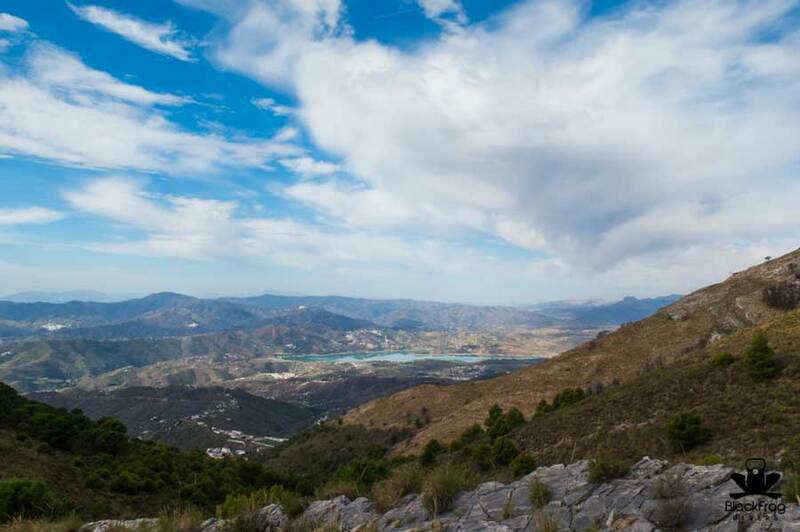 Enjoy a fantastic walking/hiking experience in Andalucia, Spain! 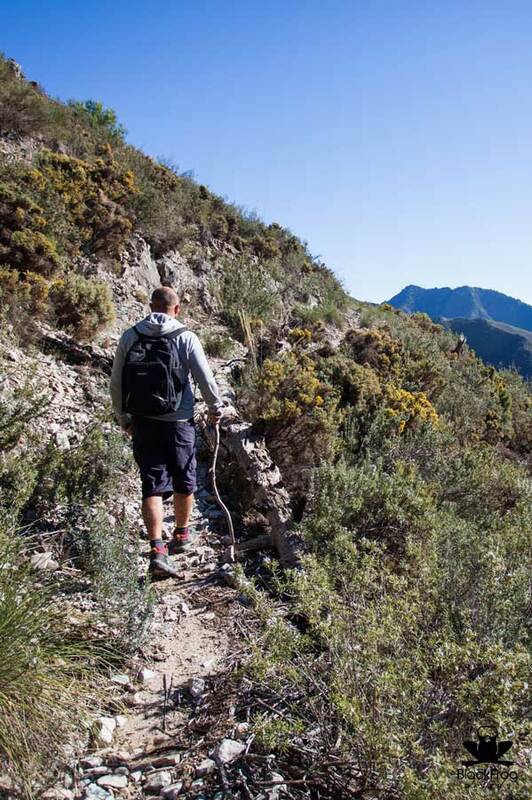 We have a variety of walking and hiking routes suitable for any age, abilities and fitness. 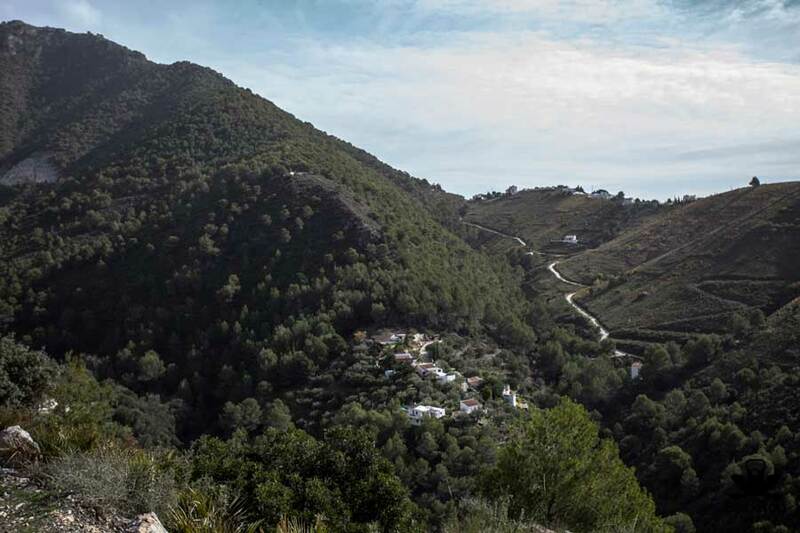 The transport to the hiking start is included in the price and an expert will guide you along the journey explaining about plants, animals and curiosity about the path. 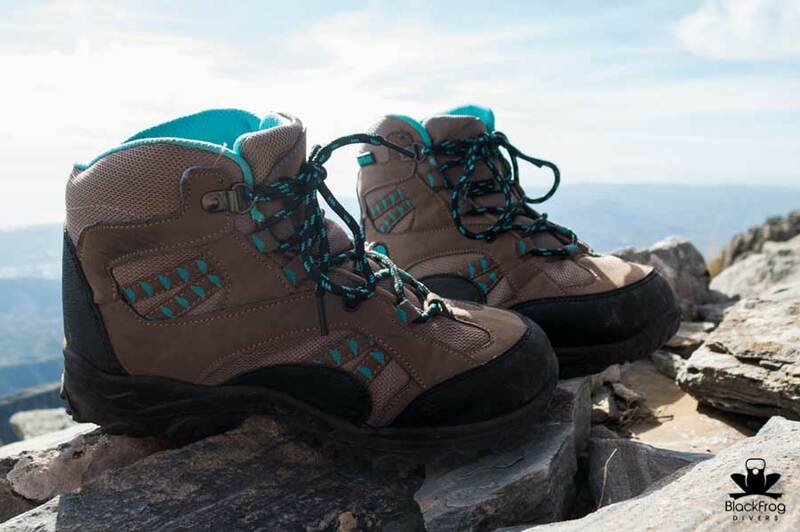 We will give you tips on the best way to walk ( what to bring and what not to bring! 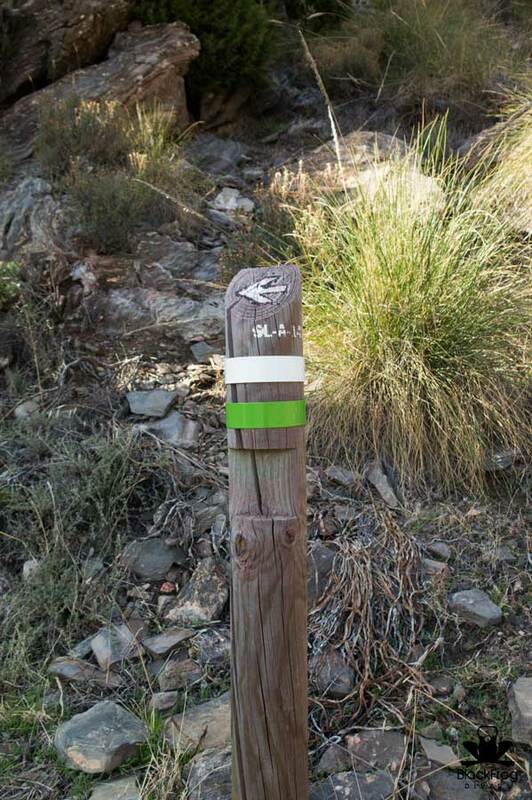 ), stay healthy and what to do in case of an emergency. 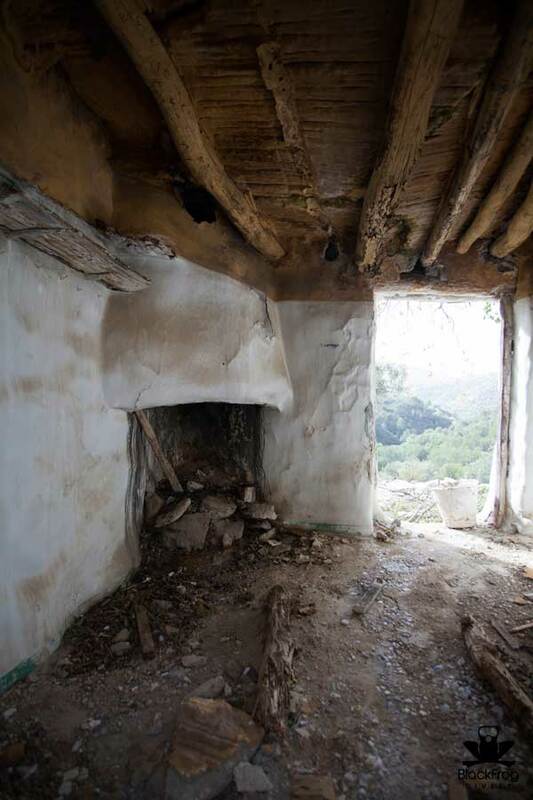 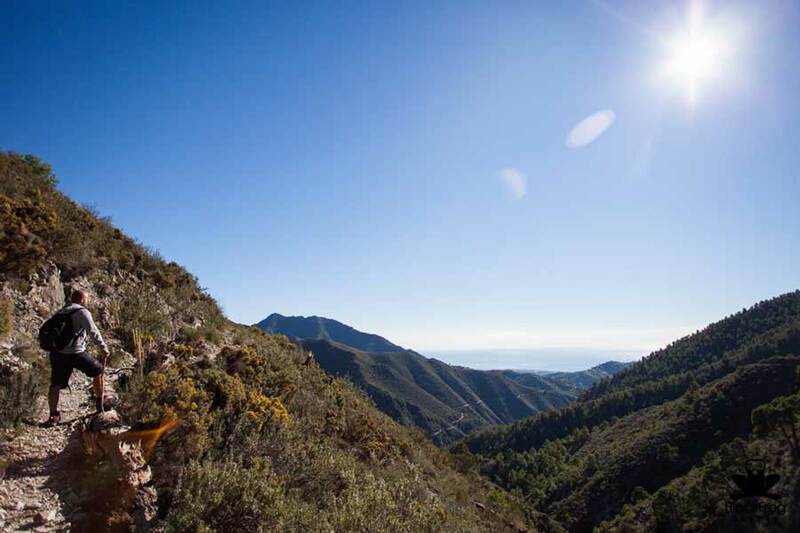 We will guide you during your adventurous steps in the warm land of Andalucia; feel the silence as you walk deeper into the valleys, delight yourself with the whisper of the crystal clear streams and enjoy the beauty of open spaces and spectacular views. 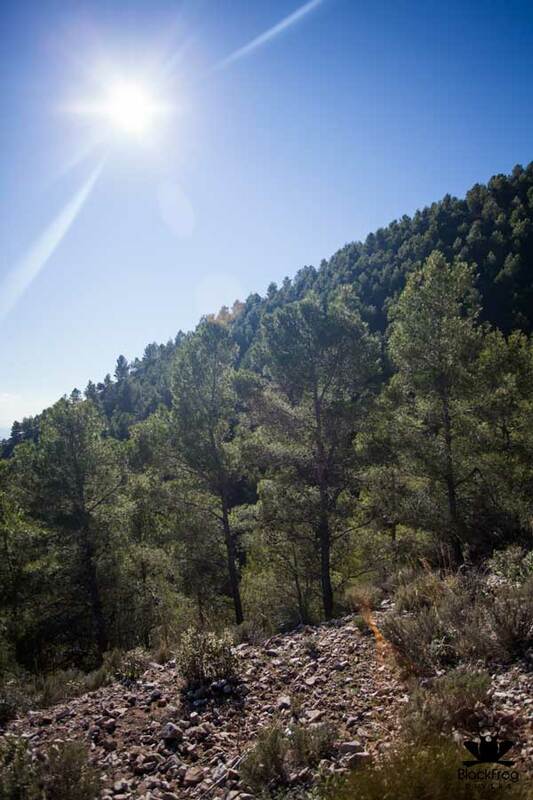 Black Frog Divers base is located just maximum 20 driving minutes far from each location, but once there it will feels like a different world. 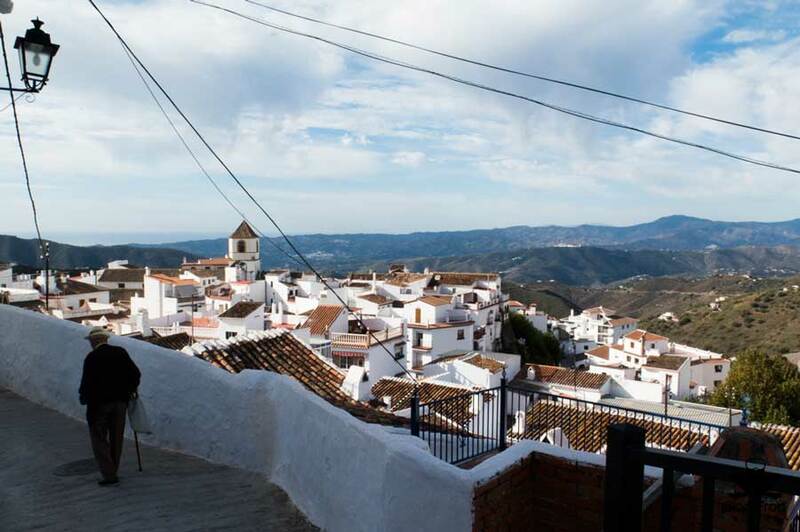 The real Spain! 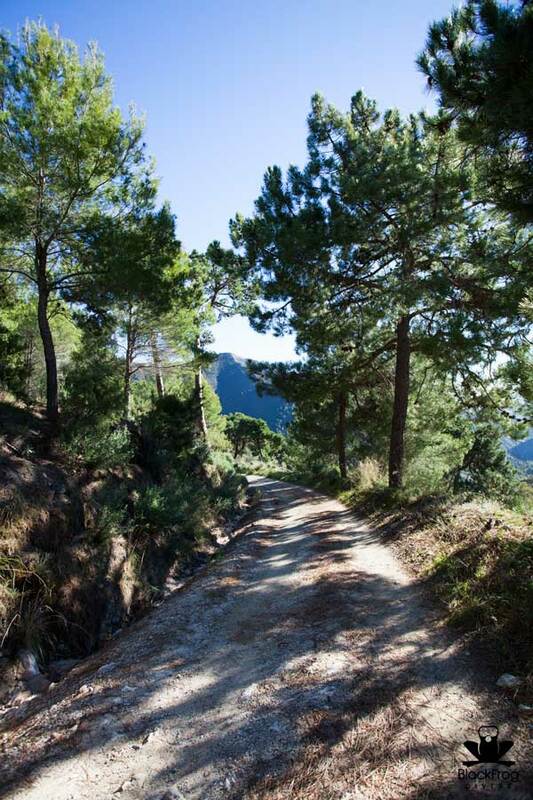 We choose our walks in order to be pleasant, easy and relaxing or difficult and challenging for the expert. Our groups are organized by difficulties and expect a minimum of 2 hikers. 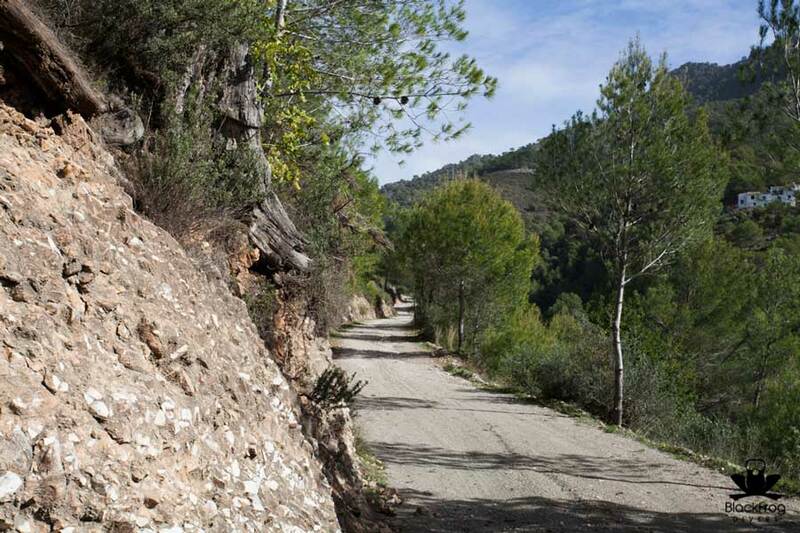 Low-mountain route will show us the beauty of the old Sheppard paths, white villages and make us dive..into the green! 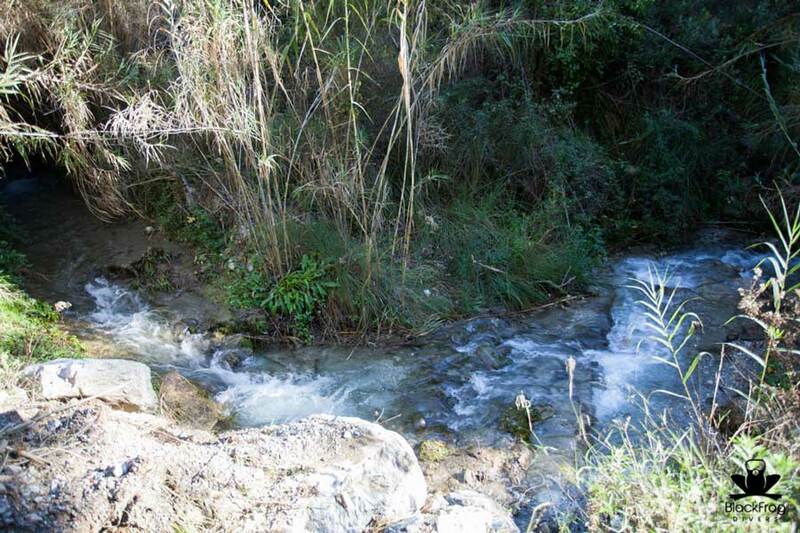 A splash between the trees, the grass and the wild nature of Andalucia. 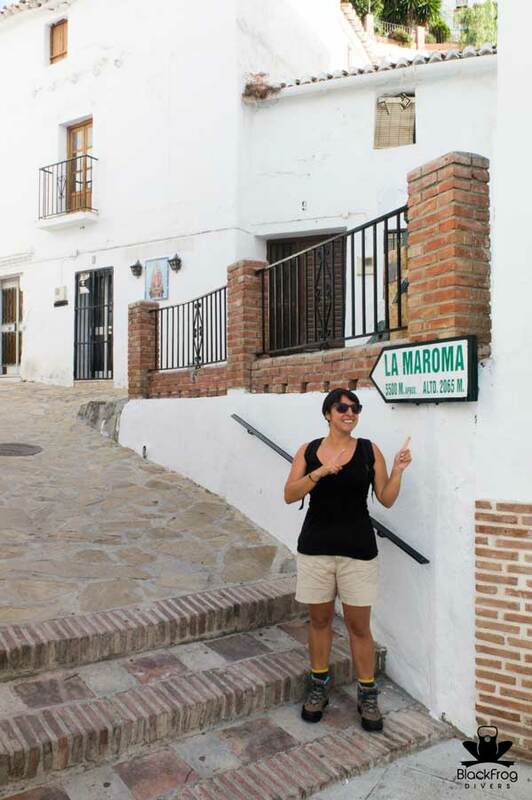 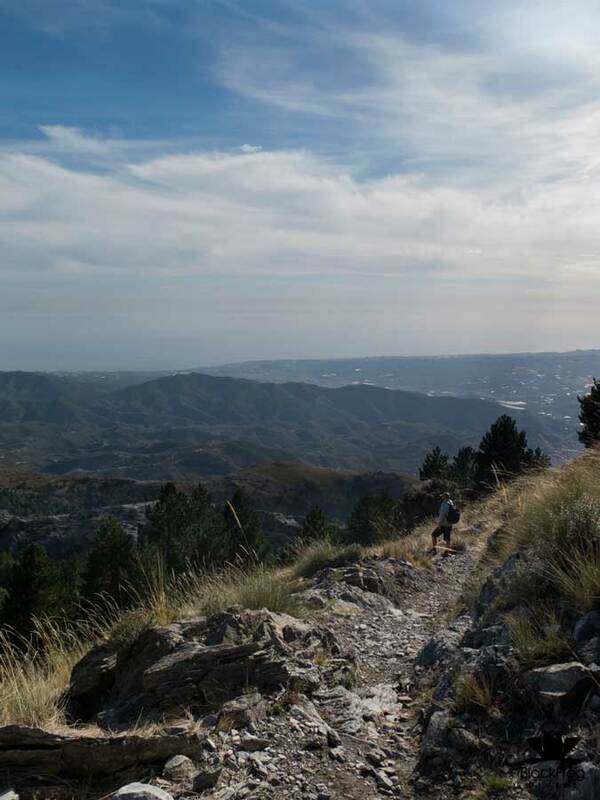 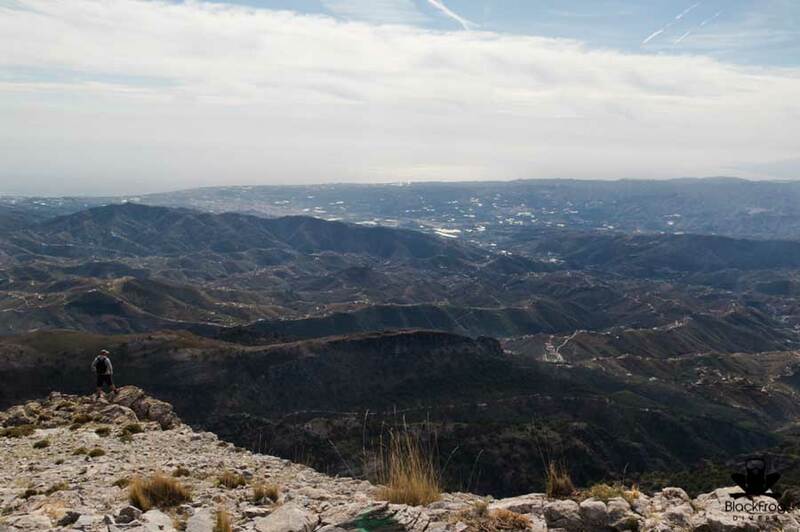 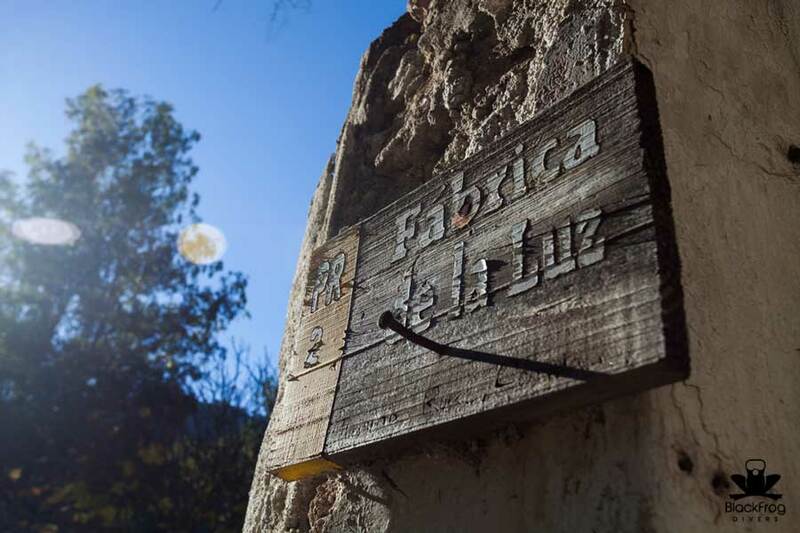 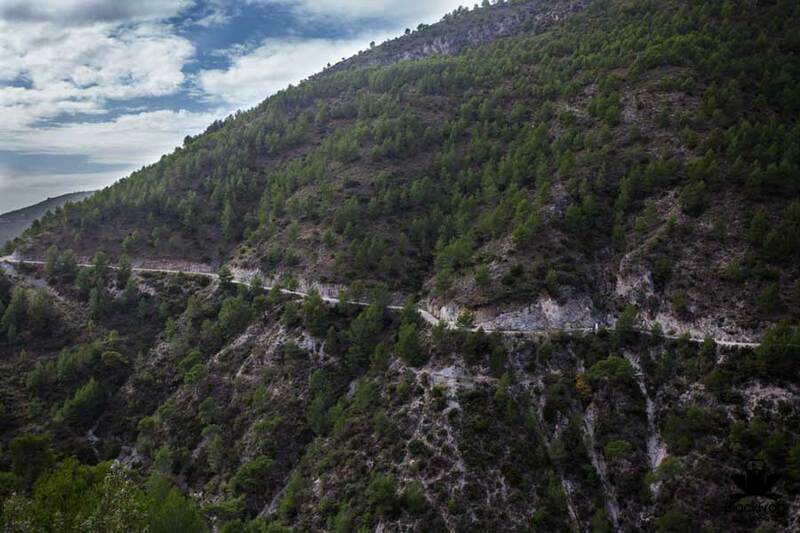 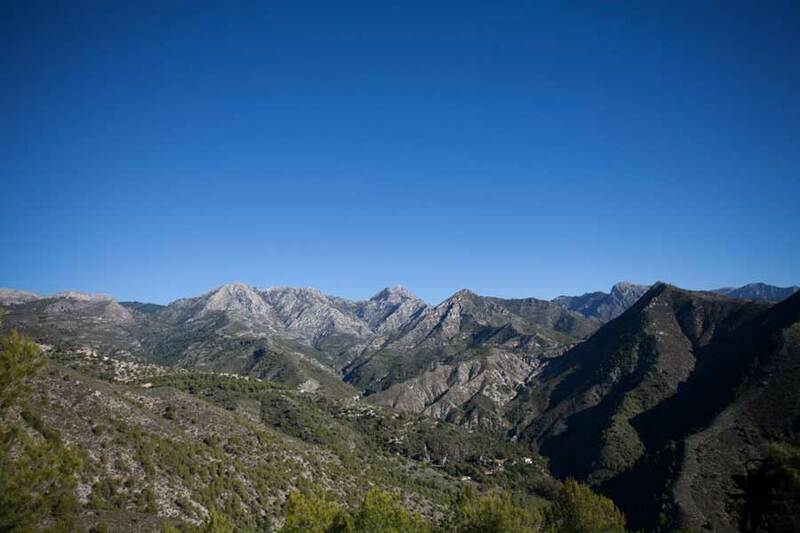 Most of our routes start from villages like Competa, Nerja, Frigiliana, Canillas de Aceituno and walk across the Natural Parque of Sierras de Tejeda, stretches across the provincial border of Granada and Malaga. 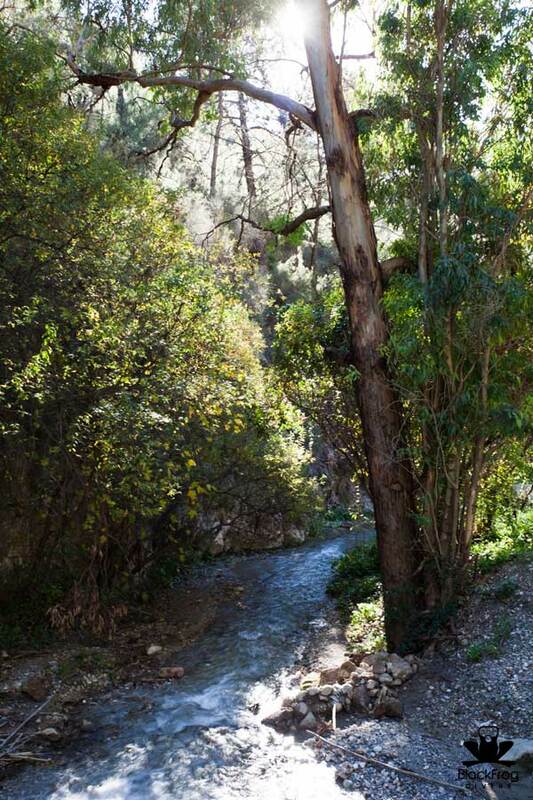 Most of the hiking paths we choose walk along water corridors like rivers and waterfalls easy to cross and breathtaking to admire. 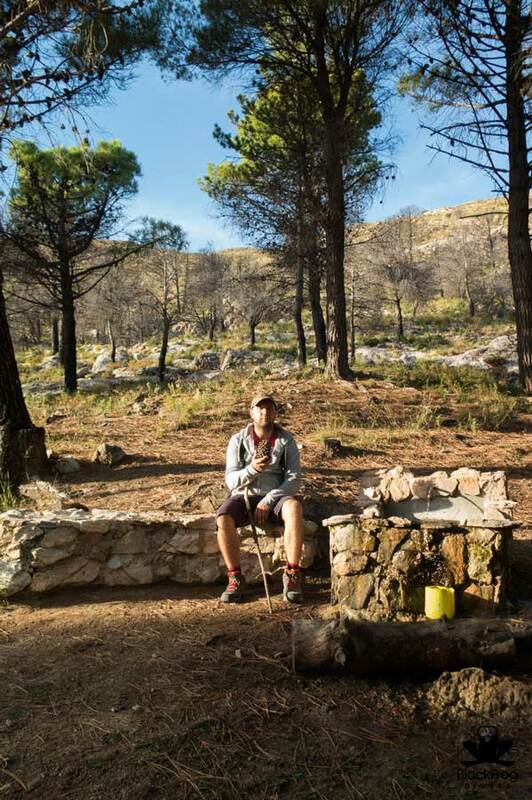 Hiking is not just a normal good exercise, it’s also a healthy and relaxing way to have fun, enjoy your holiday and make the most out of it, getting out into the countryside and hike, walk where people generally don’t walk, breath clean hair and meet new people. 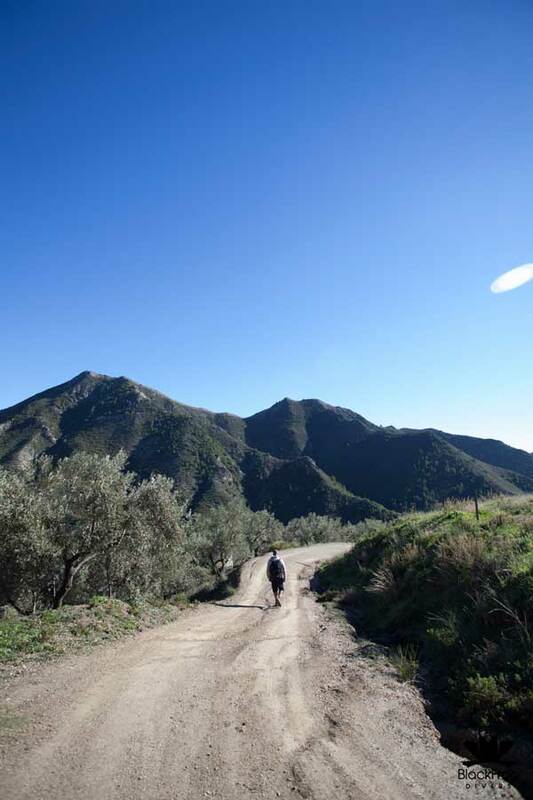 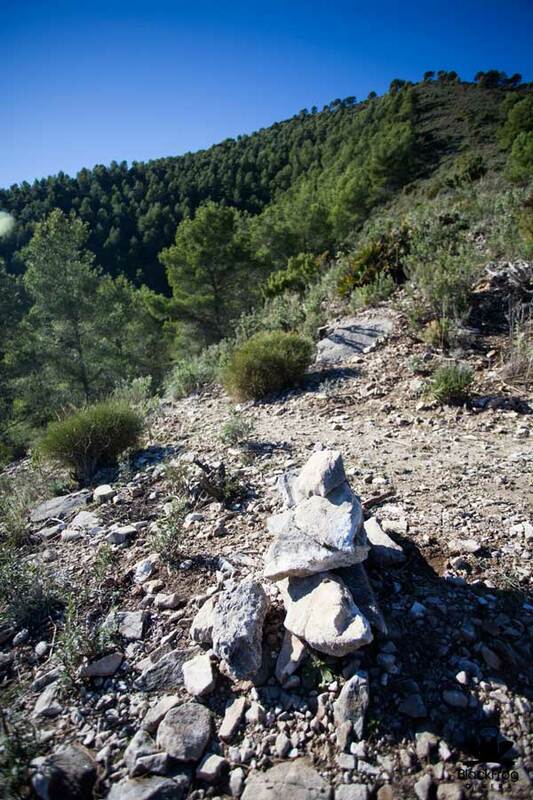 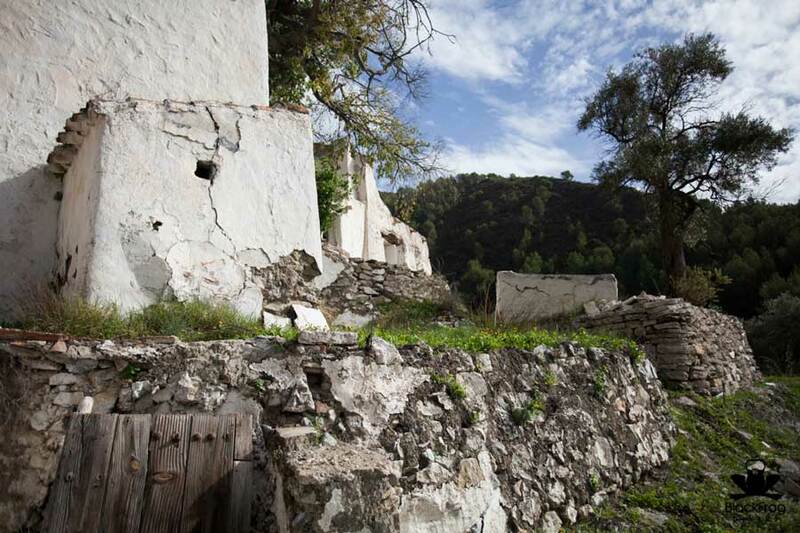 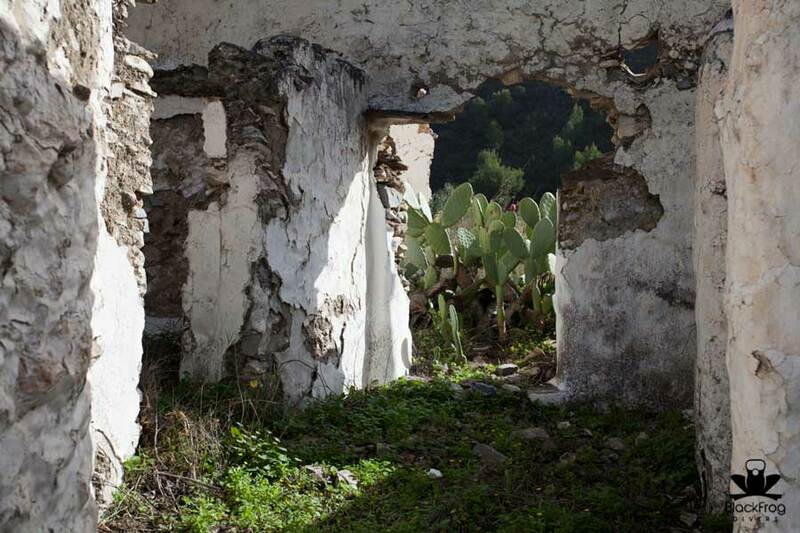 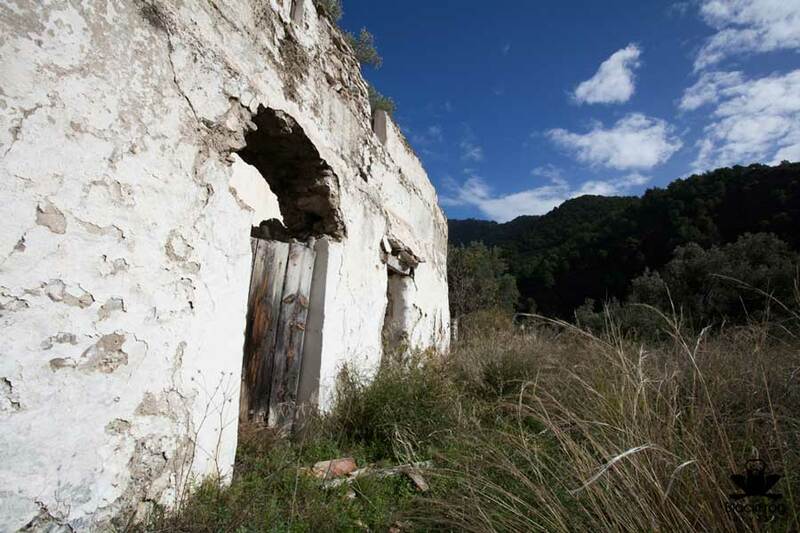 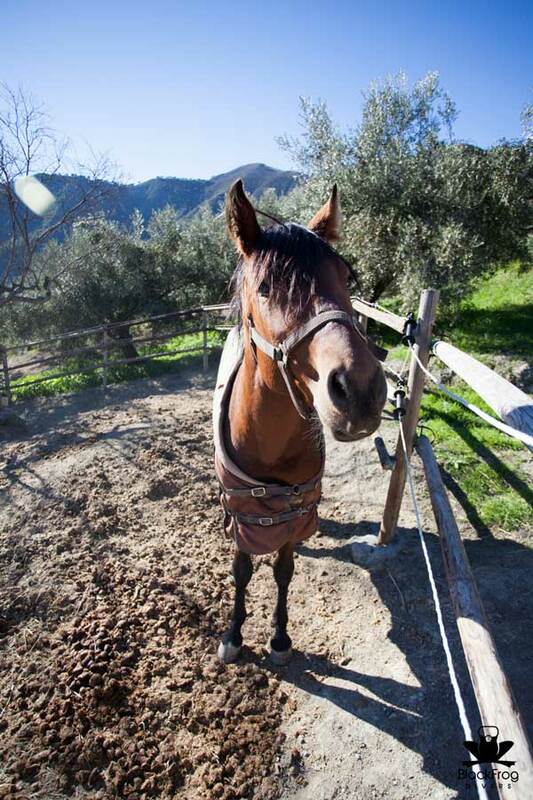 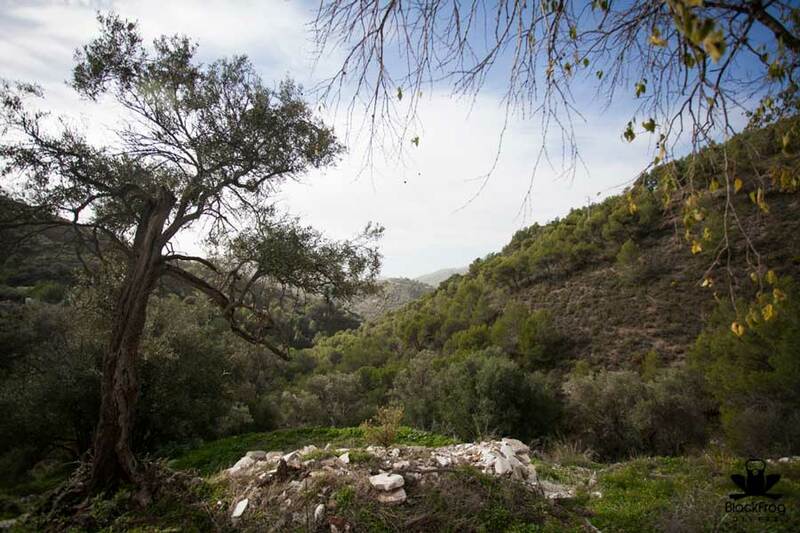 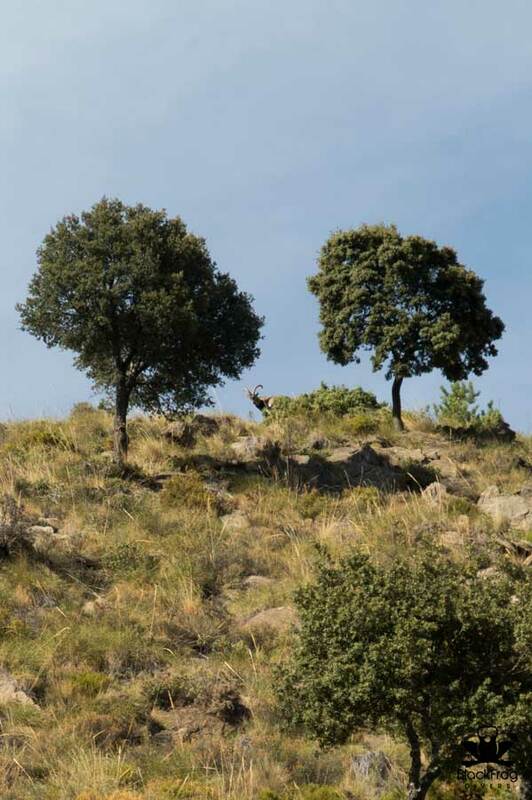 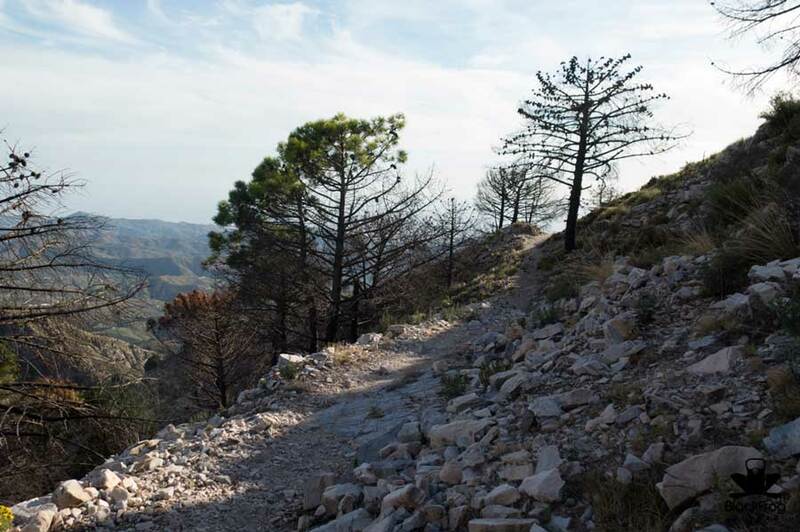 Take advantage of our hiking adventures and live Andalucia in all its natural aspects.